Heart shape diamond rings are as much of an alternative choice as they are a romantic one. Consider the cool recent history of the style. When Lady Gaga, who is about as edgy as it gets, was engaged to Taylor Kinney, she had a stunning heart shape diamond engagement ring. Michelle Williams, who is very stylized and selective in the way she wears jewelry, has been wearing a substantially sized vintage heart shape design covered in diamonds on the third finger of her left hand. It is rumored to be an engagement ring from her financial consultant boyfriend Andrew Youmans. And really, I think its safe to say it is an engagement ring. Few women sport a jewel on that finger unless it has the intention of marriage. An alternative choice to be sure, great heart rings can be almost as difficult to find as true love. If you have been on the hunt you can stop your search now. 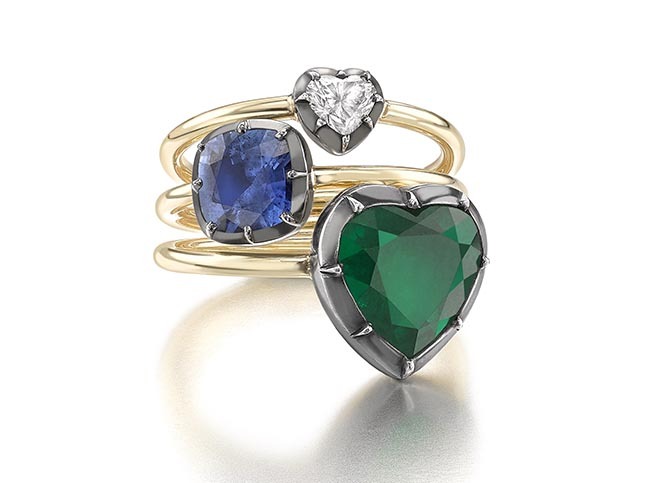 Jessica McCormack has one of the most amazing collections of heart shape rings anywhere. Handcrafted in her signature Georgian-style Cut Down Setting, the heart shape stones have a frame of blackened gold with cool slashes of raised metal. The bands are 18K gold. 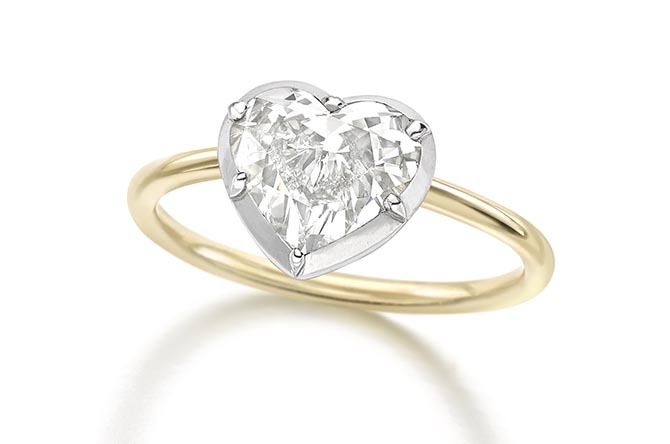 The prices for a small .31-carat diamond heart ring start around $4,640. 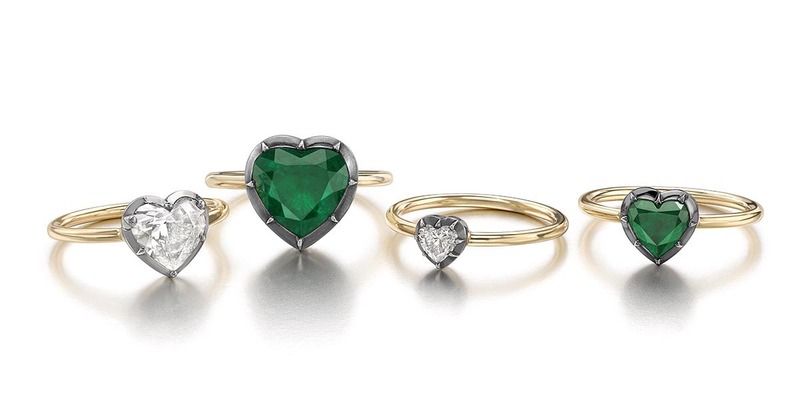 Heart-shape emeralds in the same setting from Jessica are a breathtaking addition to the collection. These are jewels that are guaranteed to put a smile on your face every time you look at your finger. They also convey a sense of pure joy along with rare style.